1 Events Media, the host of the 2017 E3 Business Awards, has named the 71 finalists that will be competing for this year’s 17 award categories. 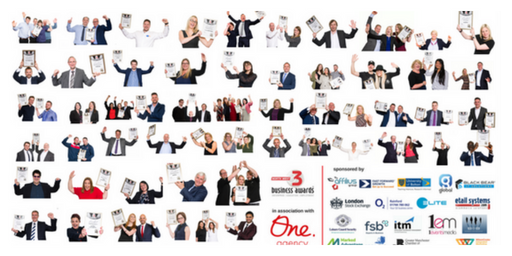 The results will be announced at the E3 Business Awards Dinner, which will take place on Thursday 13th July at the Macron Stadium in Bolton. Held annually since 2013, the E3 Awards are now in their fifth year. They celebrate diversity and achievement within the North West business community, and the nominees comprise a broad spread of companies, charities, social enterprises and individual entrepreneurs. “The E3 Business Awards have really taken root in the regional business community,” said 1EM managing director Mubarak Chati. “This year, the total number of nominations was 18% higher than last year, which was itself 25% up on the 2015 figure. In the run-up to the deadline, we received over a hundred entries in the last 48 hours alone. Importantly, too, we’re seeing lots of new entrants, so it’s not just the ‘usual faces.’ This year, 85% of the finalists will be new to the Awards.